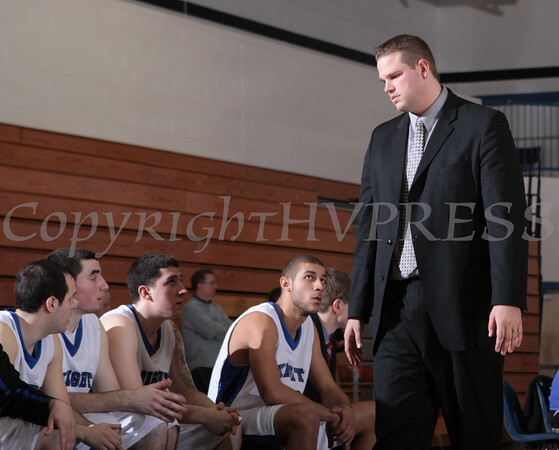 Mount Saint Mary College head basketball coach Ryan Kadlubowski talks to players during their game against St. Josepeh's College on Saturday, February 19, 2011 inside the Kaplan Center in Newburgh, NY. St. Joseph's College defeated the Mount 75-69. Hudson Valley Press/CHUCK STEWART, JR.